As we all know, Q4 has some of the biggest holidays and events that increase online spending and bring millions of consumers to spend their money online. These few months are a great opportunity to connect with your Affiliates in a deeper, more profitable way. Below we are going to share some awesome tips on how to engage your Affiliates in Q4 and ensure that they are educated on your products. Affiliates must have the information necessary to extend your brand in a timely fashion around this busy time. As a Merchant, you definitely need to keep Affiliates active and engaged in your program during Q4. One way to keep in touch during this holiday shopping season is to send newsletters. Communication with your Affiliates is one great way to motivate them to generate sales or push a specific product. New product information or holiday best sellers – let them know the best way to promote these! How many times have you searched for “Gift for Kids”, “Gifts for Travelers”, “Gifts under $50″, “Eco-Friendly Gifts”, et la.? A LOT. Everyone loves browsing a good gift guide. A solid base of creatives can definitely go a long way in helping Affiliates drive traffic to your web site during Q4. Offering the widest possible variety will only help your Affiliates choose the creative that has the best match for their subscribers. Upload your Q4 creatives HERE. Analyze Trends: Use the Banner Performance Report to see which banners generated the most unique hits and number of sales from previous holiday seasons. Target Banner Ads: Create “private” banners for top-performing Affiliates. Update Regularly: Enable the API to automate your seasonal banner updates. Buttons and text links see a higher conversion rate of 43% and 34% compared to a 17% conversion driven by banners. Deep Link: Link to specific pages on your site rather than just the homepage. Poll Affiliates: Send out a survey to see what type of creatives your Affiliates would be most interested in utilizing. Organize Creatives: Consider putting your Q4 creatives in a category of their own. Also be sure to ask about our Black Friday / Cyber Monday Coupons & Deals Database! Use our Holiday & Events Marketing Calendar as a guideline to developing coupons/deals, allowing Affiliates with enough time to make changes on their web sites where necessary. While most retailers typically focus on Black Friday and Cyber Monday, use the calendar to offer promotions for other events too! Consider reserving a placement in ShareASale’s Holiday Central, and promote products that target specific holidays. Before you know it, it will be the fourth quarter! Do not wait until the last minute to start creating newsletters, banner ads and gathering ideas for coupons and deals to offer your Affiliates. 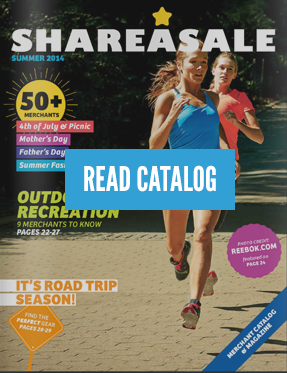 ShareASale has a number of tools that will help to motivate and engage your Affiliates to create success during Q4 and it is important to take advantage of these tools before the madness begins!